Most people typically don’t give malpractice law a second thought when they are receiving medical treatment. However, if you've suffered injuries due to a healthcare provider's negligence, it's important to understand how Louisiana's medical malpractice law will affect your ability to collect damages. It's impossible to predict with 100% accuracy how a patient will respond to treatment. If your knee replacement surgery doesn't offer the desired pain relief, this doesn't automatically mean you are the victim of malpractice. To have a valid case, you must be able to prove that the provider violated the accepted standard of care for your condition, and this violation caused you harm. 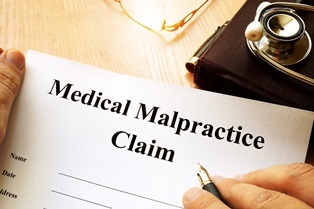 Typically, a malpractice claim does not result in a doctor or healthcare provider's license being revoked. Malpractice judgments can result in disciplinary action, but taking away the license to practice is considered a penalty reserved for the most egregious misconduct. For example, the Louisiana State Board of Medical Examiners reports only three doctors lost their medical licenses in Louisiana in 2013 even though the board received 1,706 complaints the same year. There were 171 individuals who received letters of reprimand during this time period. Malpractice cases, like other forms of legal action, have a strict statute of limitations. Louisiana law requires plaintiffs to file a case within one year of the action forming the basis of the malpractice. If the malpractice wasn't discovered immediately, the statute of limitations is extended to one year from the time the action was discovered or could have reasonably been discovered. However, the maximum length of time to file is three years from the date of the alleged act. If you win your malpractice case, you may be responsible for repaying expenses your health insurance previously paid on your behalf. When the insurance company believes another party is responsible for the expenses they have paid, they will place a lien on the proceeds of a pending legal settlement. However, the amount of the lien may be negotiable under certain circumstances. Keep detailed records of your medical treatment and invoices received. Malpractice cases are often subject to damage caps. The amount of the cap varies significantly by state, but the purpose of these limits is to avoid settlements that inflate the cost of medical care for the general population. According to Louisiana Revised Statutes section 40:1231.2, total damages in a malpractice case are limited to $500,000. However, the cost of future medical care that you may require due to the malpractice action is not subject to this damage cap. The idea of testifying in court can be intimidating if you have no previous experience with the legal system. However, the vast majority of medical malpractice cases are eventually settled out of court. Settling a suit out of court saves time and litigation costs, but there are a number of factors to consider when determining if you should accept a settlement offer. Having the advice of an experienced attorney helps ensure that you are properly compensated for your damages. Medical malpractice law is extremely complex and insurance companies are not interested in fully compensating patients for the harm they have suffered. To protect yourself, you'll want to retain a qualified malpractice attorney to advocate for your interests throughout the settlement process. Malpractice cases are accepted on a contingency fee basis, which means there is no upfront cost for representation. Your attorney accepts a percentage of the final settlement as the fee for service. The dedicated legal team at Neblett, Beard & Arsenault is committed to protecting the rights of Louisiana residents who have been injured due to the negligence of others. Contact us online or call our office directly at 318.588.6303 to schedule a free, no-obligation case review.